Holistic therapies offer a variety of natural ways to help animals heal by improving their comfort, mobility, and quality of life. VRC offers these veterinary holistic therapies to enhance your pet’s innate ability to heal. Holistic therapies are complementary, which means they can be safely utilized alongside traditional medical options, in combination with other integrative therapies, or by themselves. Acupuncture: This ancient form of eastern medicine is an effective method of treating a variety of diseases and disorders. Using thin, sterile, stainless steel needles, acupuncture stimulates specific points on the body to balance energy flow, reduce pain, and improve health. 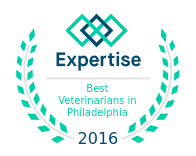 Only a licensed veterinarian can perform acupuncture on animals. Cold Laser: This therapy uses energy from lights to stimulate cell activity and aid in the healing process of sprains, strains, and other musculoskeletal injuries. The laser activates tissue repair while promoting deep muscle relaxation and reduction of joint pain. Our lasers are FDA approved for human use.